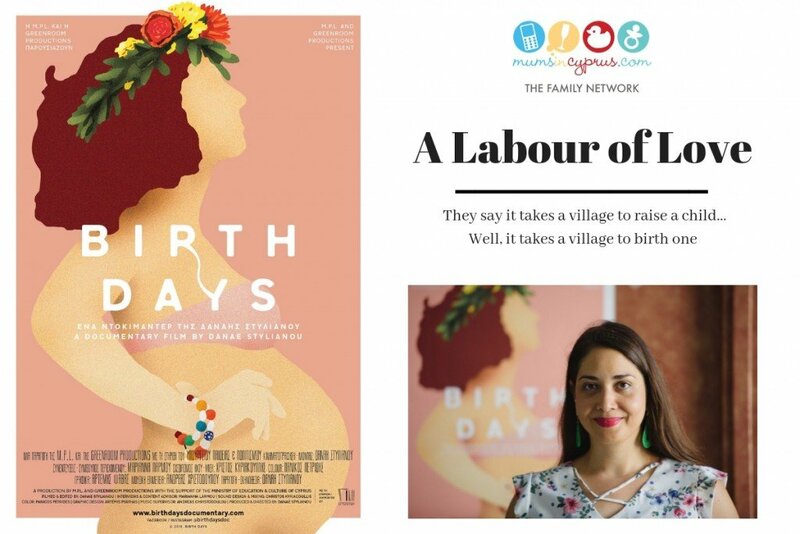 Carine and I, along with our friends from Birth Forward Cyprus were honoured to have been invited to attend the Limassol screening of Birth Days Documentary last week. Six days on and memories of this beautiful film are still reverberating inside of me. Because that is what this film does… it reaches deep down, implants itself and vibrates softly – just like those first flutters of early pregnancy. In watching this film, you will experience the ebb and flow of labour and the messy journey one takes through pregnancy and birth; through fear and pain and ultimately the unparalleled purity of laughter, joy and the miracle of bringing another human being screaming in to this big bright beautiful world. This film is clearly a labour of love. It shows in every frame and edit. It took Danae Stylianou two years to make it and we thank her so sincerely for doing so. Danae is an extraordinary filmmaker – the quality of her direction, filming and editing (this was a one-woman show) is superb and stands out not just here in Cyprus but on the international film scene also. This documentary is relevant no matter where you live and how your experiences have differed and that, to me, is at the core of this film’s beauty. 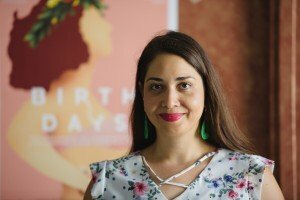 In documenting the birth culture here in Cyprus, Danae was setting herself up for a monumental task (she’s not one to shy away from difficult projects – her previous two films covered Greek- and Turkish-Cypriot relations and then the Crisis). It was one that could have caused offence or division… or it could have justifiably chosen to be downright angry. But it did none of these things. Birth is an emotive topic and could be more so here in Cyprus, where we currently hold the shameful award of having the highest C-section rate in the World. Caesarean deliveries account for about sixty percent of births in Cyprus. In some clinics this number rises to the nineties! But Danae chose to tell the story in a different way. One not centred on the outrage and anger that many of us feel. But one that focuses on the miracle of birth. Now that I have seen this film, I couldn’t imagine it being told in any other way. Following three women’s journeys from pregnancy through to birth (in both the private and public sectors), this film showed us what birth can be like without unnecessary medical intervention. Three very different natural births; each one unique and special. With all the exhaustion and trials; pain; fear; doubts and ultimately… a demonstration of the amazing ability of women to overcome all of this given the right kind and amount of support. 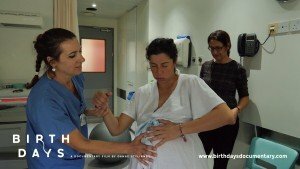 Of particular interest to me was a VBAC (vaginal birth after caesarean) mother’s journey through her second pregnancy; her amazing feat and the combined efforts of everyone around her to shed the fears and worries accumulated since her first traumatic birth. Knowing this mother personally and how difficult a journey this was (and unfortunately how common an experience this is in Cyprus), it was even more amazing to watch it played out on the big screen. They say it takes a village to raise a child… well, it takes a village to birth one. It takes a community of supportive friends and family; a team of knowledgeable and experienced prenatal educators; midwives; doulas and doctors; and the combined strength of the female spirit – one that comes from the knowledge that women can and will birth naturally, provided that they are empowered, free to make an informed choice and supported in carrying out these decisions. We also know that medical support is available in emergency situations but that this, according to the WHO, should not be necessary in more than 15% of births. It was encouraging to see so many pregnant women in the audience – what a generous and special gift to be given during this time in your life. If this film empowered just one woman, it has done its job. But I think this film will be changing more than just one woman’s story. And how very glad we are for that. Birth can change a woman and mothers are born along with their children. How much easier it must be to become a mother when one can pull from that amazing power – one strengthened through support, empathy, love and understanding. Let’s hope there are more of these stories in the future. You still have a chance to watch this film. There are two screenings in Nicosia and one in Larnaca. Make sure to take some tissues – I admit that I cried unashamedly from the opening credits. But don’t worry – you will also be laughing. At the perfect time. So similar to those breaks between contractions, Danae will give you a belly-laugh at just the right moment before plunging you back in to the action. She weaves these stories like an expert craftswoman and you’ll thank her for taking you on this journey. I certainly did. Click here to read more about Danae Stylianou and behind the scenes of this extraordinary film. Find the Facebook event here. Follow their page for updates on the Larnaca screening coming soon. Tickets: No presale. Please arrive on time to ensure your seats.